When you get a scratch in your car paintwork, it’s common to wonder if you can fix it yourself. There are so many kits on the market, but do they actually work? Or could they make the scratch look worse? To help you, we review how and when to use the Turtle Wax Scratch Repair Kit, and when it may not be the best solution. What is the Turtle Wax kit? 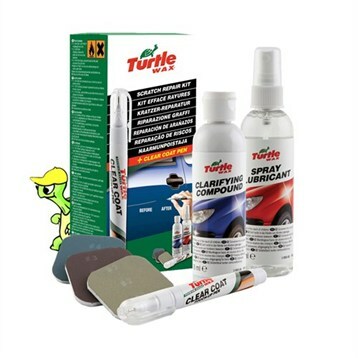 Turtle Wax Scratch Repair Kit is billed as an all-in-one repair kit. It contains a clearcoat pen, clarifying compound, polishing discs and spray lubricant. However, unlike some other scratch remover kits, it doesn’t include paint. This means there’s only one version of the kit and you don’t need to worry about colour matching. The pen contains a solution of clearcoat resin, which is the protective top layer of paint on your car. Light, shallow scratches are often only in the clearcoat, so the pen is designed to fill the scratch with new clearcoat. But if your scratch runs into the car paint, or reveals the metal below the paint, you will need to touch up the paint before using this kit as it cannot put colour back into the scratch. Turtle Wax’s repair kit is designed to be used on painted metal surfaces with a shiny or gloss finish, so don’t use it on matte paint. It is also not suitable for any unpainted metal such as chrome, or non-metal surfaces like plastic bumpers and fibreglass. Here are the steps to use the kit. If you’re touching up the paint in the scratch first, follow the instructions for using a scratch remover kit here. Allow the new paint to dry for at least 24 hours before using the Turtle Wax Kit. Clean the car surface well and dry thoroughly. This is important to stop dirt and grease getting into the repair process. Shake the clearcoat pen to mix its contents. Depress the pen tip on a flat surface like a piece of paper to start the flow of the clearcoat resin. Carefully guide the pen tip along the scratch to apply a light coat of resin and fill the scratch. Allow the clearcoat to cure for 24 hours. If you have any raised areas of clearcoat, you will need to polish it very gently with the supplied pads. First, spray the area liberally with the lubricant, and spray the pads too. The pads are essentially sandpaper and are numbered 1 to 4 to describe how abrasive they are. Pads number 1 and 2 are more abrasive and 3 and 4 have a finer grain. Start with pad 1 or 2 and work towards the finer ones. If you don’t have much excess clearcoat, start with the finer pads. Gently pass the polishing pads over the area. Turtle Wax suggests using around 30 light passes over the area per pad, but we’d recommend being very cautious and stopping every few strokes to check you’re not going too deep. Keep the repair area and pad wet with the lubricant spray while you polish it. When finished, dry well. Now you need to polish the area with the clarifying compound. Put a little compound on a soft cotton cloth rub in gently for one minute. Keep changing the direction of rubbing to avoid streaks and swirl marks. Stop and allow a light haze to develop on the area, before buffing it well with a clean cloth to bring back the shine and check how it looks. Repeat the previous step until you get the right gloss level to match surrounding paintwork. You will need to put some elbow grease into the buffing. Once the repair is complete and has cured, you can dial up the shine and keep the paint protected by applying car wax – read our blog on the best car wax here. However, if you have applied paint to the scratch, wait at least one month before applying any wax. This is because waxing soon after applying paint can trap solvents into the wax. Essentially, the Turtle Wax Scratch Repair Kit is a clearcoat application to fill in any light grooves. It’s best suited to shallow scratches and swirl marks, not deeper paint scratches and can give good results on minor damage. But it’s important to understand how it works. 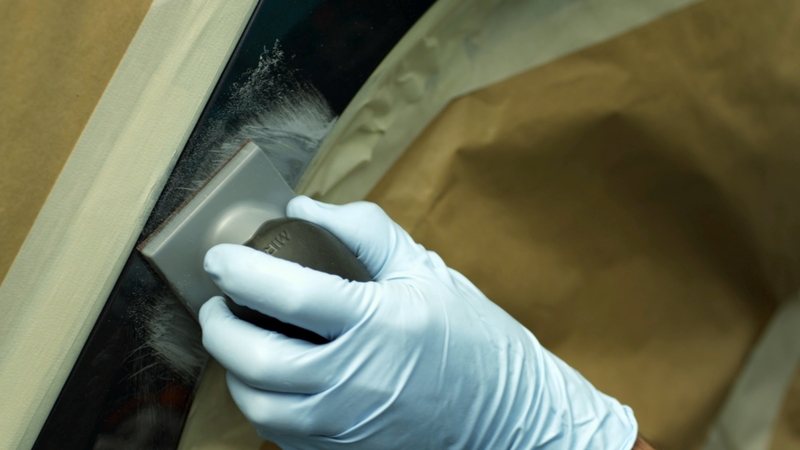 Once you’ve filled in the scratch with the pen, the ‘clarifying compound’, polishing and buffing simply removes some of the surrounding clearcoat to level the area out, reducing the appearance of the scratch. It will leave you with a thinner layer of clearcoat on the area, which will need upkeep with regular waxing. This is also why the kit not suitable for deep scratches. And most importantly, the kit can actually worsen damage if you make a mistake. Any heavyhandedness with the sanding pads risks scratching the surrounding paint. If you’re unfamiliar with repairs or not confident gently removing clearcoat, it’s better to choose a professional repair. If you’re not comfortable attempting a DIY scratch repair, the good news is that professional scratch repair doesn’t have to cost the earth. In the past, many bodyshops only offered a full panel respray, which can be expensive. But ChipsAway pioneered a new method called SMART repair – Small to Medium Area Repair Technology. It involves simply repairing the damaged area and not the whole panel, making the repair quicker and cheaper. 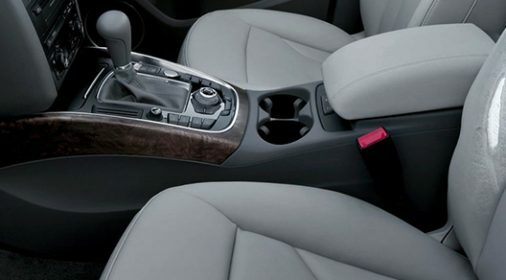 Read about the SMART repair process here. 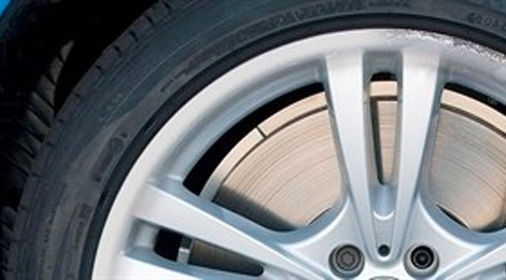 ChipsAway has specialists across the UK who are experts in car scratch repair. 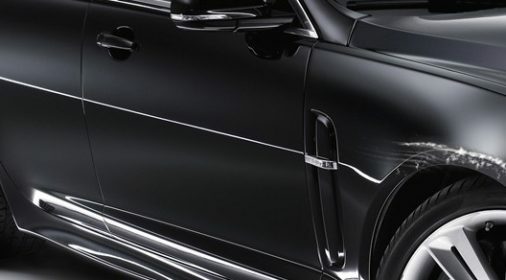 They will repaint the scratch with precisely mixed colour to match your car and seal it with the same lacquer, meaning you won’t have to worry about regular waxing afterwards. 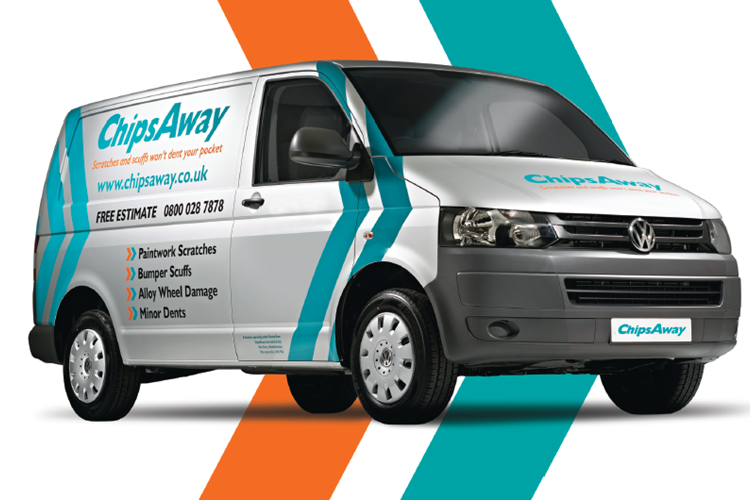 All ChipsAway repairs also come with a lifetime guarantee and our specialists are mobile and can come to you at home or at the office, so you won’t be without your car. Request a free, no-obligation quote online today.